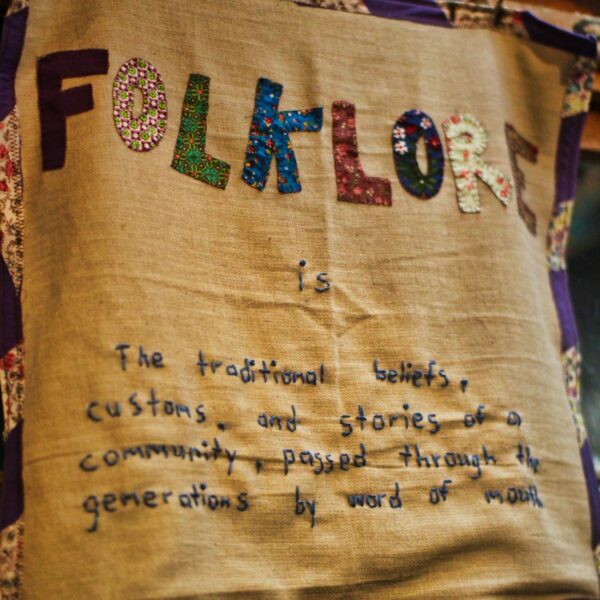 “Folklore” is the name of our activity focused on reproducing traditional mountain crafts. Here campers learn about some of the craft traditions preserved by the Appalachian culture of this area in North Carolina while at the same time exploring their creativity. Working with simple materials like leather, paints, corn husks, fabrics, thread, soap and wax, the girls follow instructors presentation of different craft projects, each girl making her own example. Using just a little thread or colored yarn, take a wooden thread spool and make a tiny doll. With a little paint, she’ll look great! Make a custom leather bracelet with your name, and decorate it with inks or paints. Use a basic quilting technique to sew a cool tapestry, pillow or purse. Folklore helps keep alive some of the traditional crafts and art techniques shaped by the culture of these Appalachian mountains. Rockbrook has always featured these crafts, from sewing quilts, to needle crafts like knitting, to weaving and making toys. Sheets and straps of leather are a traditional material that can be stamped, painted, burned and etched to make jewelry like bracelets, and sewn together for pouches and other small containers. 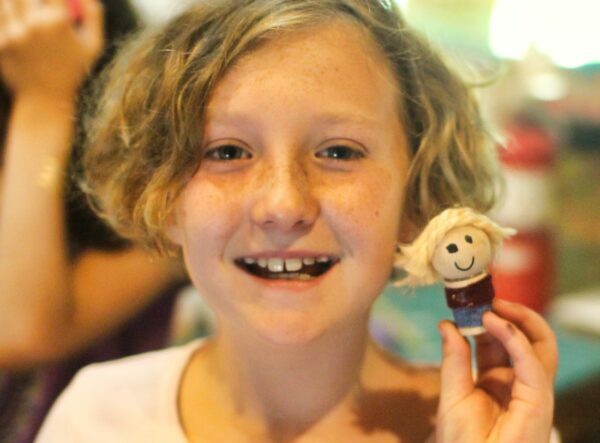 Using corn husks, scraps of cloth and yarns, the girls can learn to make dolls. Gluing found objects like thread spools, buttons, sticks and pieces of metal, small animal figurines can be sculpted. Add a little paint and you’ve got an amazing piece! 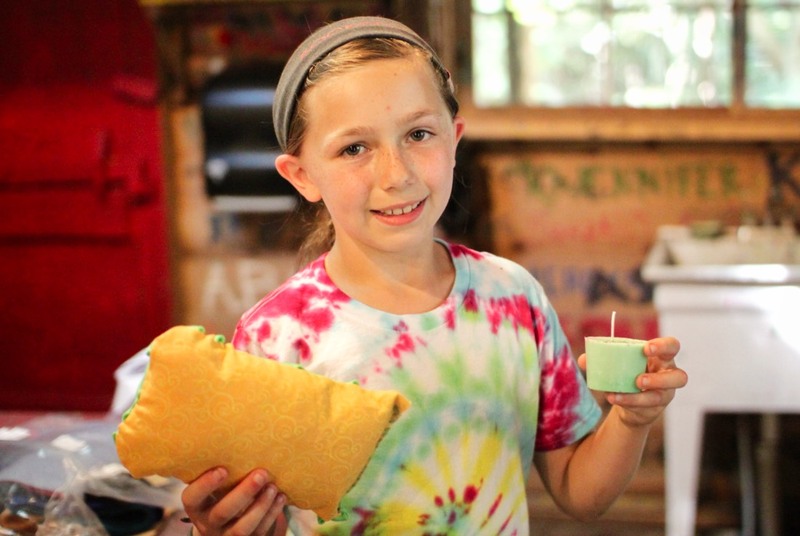 Girls can make candles by dipping wick thread into hot wax, make soap by mixing together fats and ash chemicals, and weave dreamcatchers from twigs, yarns, flowers and feathers found in the forest. 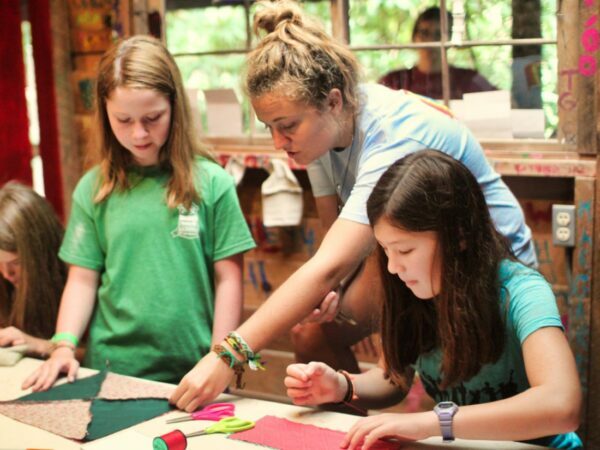 These craft projects may be traditional, but they provide Rockbrook girls a great chance to create something unique, all while preserving some of the crafting traditions of the area.